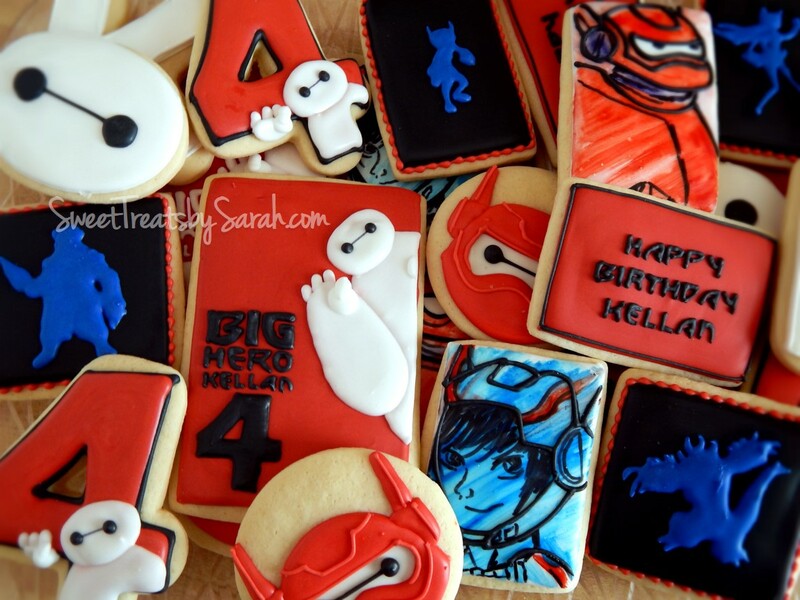 Sweet Treats by Sarah: Big Hero 6, Trolls, and Sweet Babies! Big Hero 6, Trolls, and Sweet Babies! 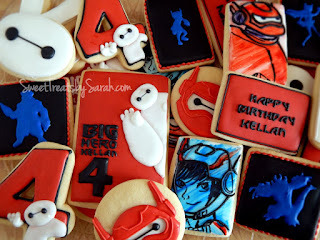 Well, the year is flying by! Spring is soooo close now and I can't wait to be back outside. The weather in March is up and down, but I love it! I am a March baby after all. 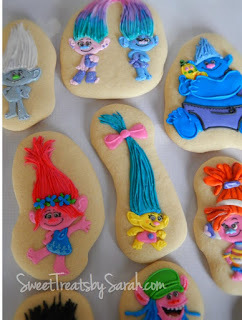 You start to get those warm days here and there and .... sometimes snow. But those warm days feel amazing! Here are some cookies I finished up in February. 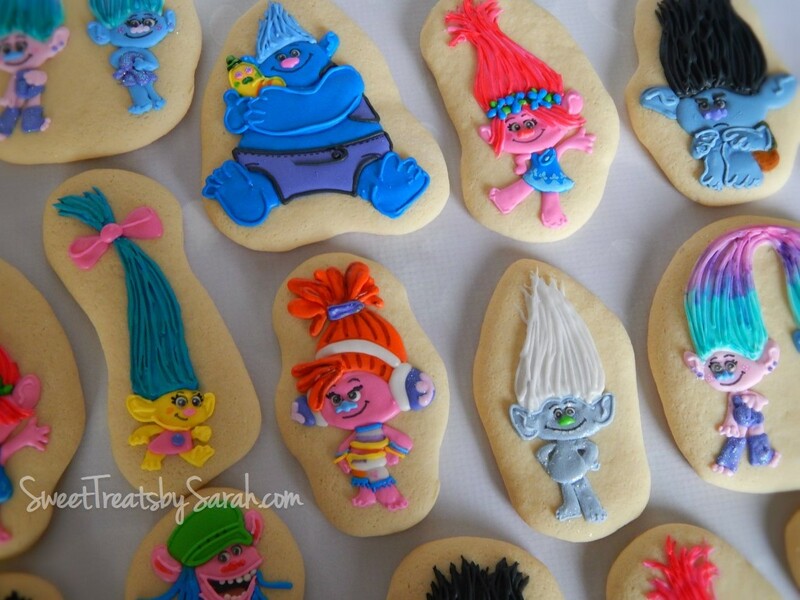 My kids really liked this bunch. 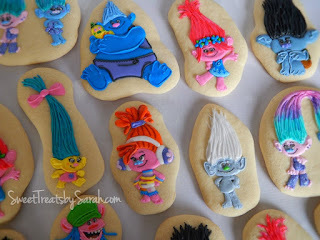 They're kind o' obsessed with Trolls right now! 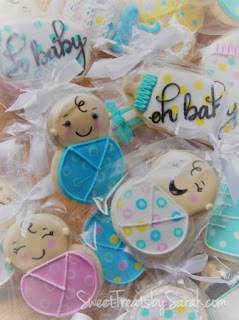 While I have oodles of shamrocks to work on in the coming week, I'll be starting my Easter designs mid month. 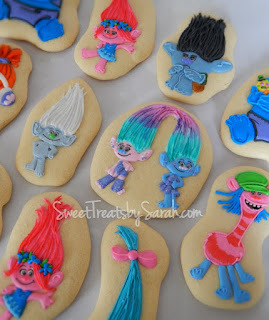 I'm hoping to prep some video tutorials for the Easter cookies and if things go smoothly, I might actually get them up before Easter! 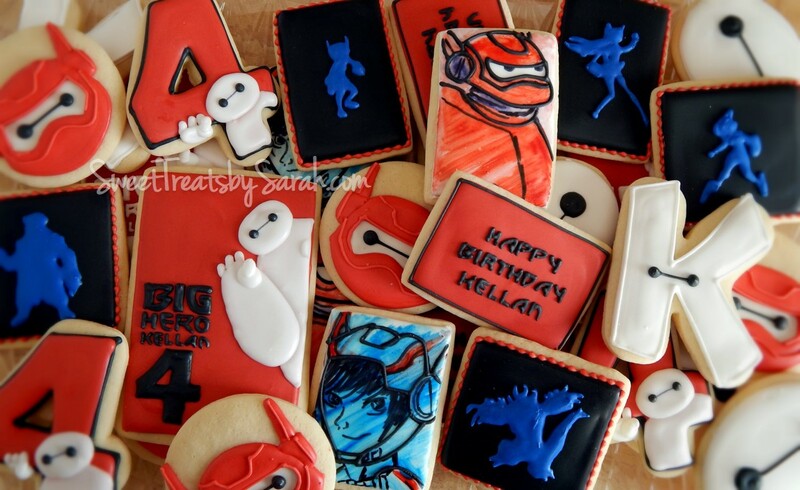 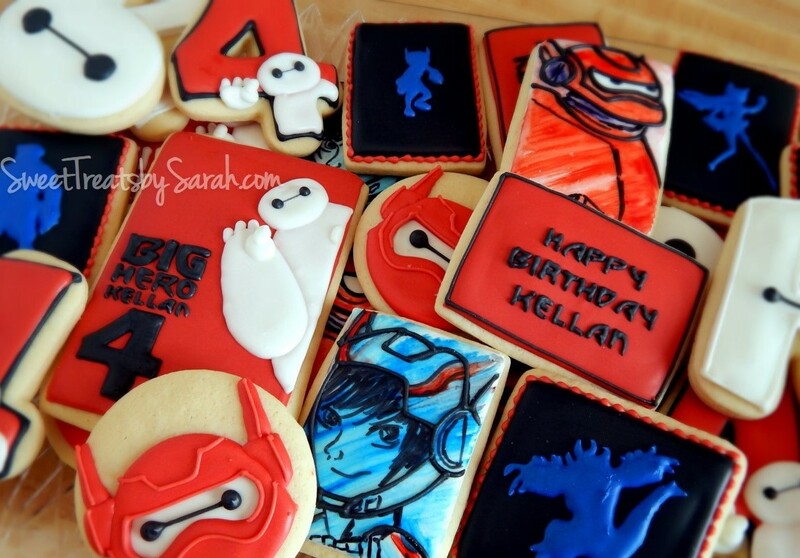 Big Hero 6 cookies: Hero and Baymax are painted with food coloring with piped outlines. 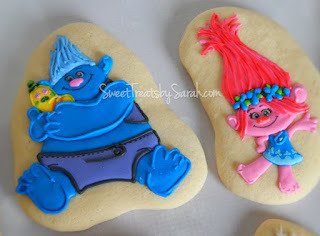 Trolls Cookies: Hand cut shapes. 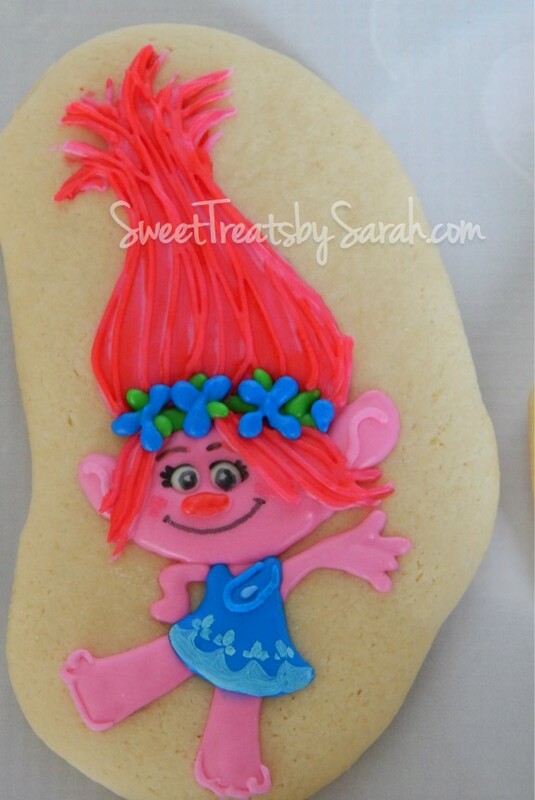 I prefer to use a pastry wheel as opposed to a knife for smooth edges on my hand cut cookies. 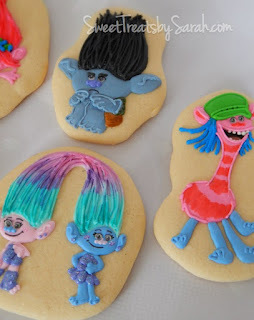 These cuties are royal icing with hand painted details here and there. Baby Shower Cookies: Little smiling sleepy snugly babies. 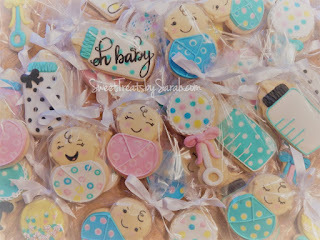 For the babies in blankies I used a number 8 cookie cutter (the type without the cutout holes).